Brisbane is an Australian cultural metropolis. With its year-round temperate climate, it certainly lives up to the adage, “Queensland – beautiful one day, perfect the next.” However, if you’re looking for indoor activities on your holiday, Brisbane has many (air-conditioned) activities on offer. The Gallery Of Modern Art in Southbank has added a cutting edge contemporary art program to the already established exhibitions at the Queensland Art Gallery, State Library and Museum. GoMA has hosted world-class contemporary scoops such as Picasso, Surrealism, Asia-Pacific and Matisse. GoMA’s Up Late Program also sees Australia’s finest musicians of all genres perform against the backdrop of the Brisbane skyline in the gallery’s foyer as the exhibition continues around it ‘til late. Located on the banks of the Brisbane River, Southbank is the pre-eminent area for dining on a balmy night with the city lights on the horizon. Top restaurants such as Stokehouse, Popollo, Lyrebird, and many more line the banks. The Kodak artificial Beach is a welcome respite from the heat and is packed with kids throughout summer. Southbank gardens are the perfect spot for a picnic, with landscaped Japanese gardens nestled along the foeshore. Southbank also houses the Queensland Performing Arts Centre (QPAC), bringing world-class theatre, musicals and ballet to Brisbane all year ‘round and making it a great place to start on your Brisbane Holidays. The converted powerhouse at New Farm Park is now home to a rotating smorgasbord of contemporary performing arts – from music, theatre, cabaret, queer festivals and art exhibitions. The unique space holds two restaurants, including the top alfresco restaurant Watt Bar and Dining for a truly riverside view. The space is famed for its half submerged ‘flood’ sign that pays tribute to the water level of the 1974 flood. Brisbane Powerhouse is adjacent to New Farm Park – a favourite picnic spot for many locals. Put some snags on the BBQ and enjoy the afternoon under the shade of the massive trees that line the foreshore. 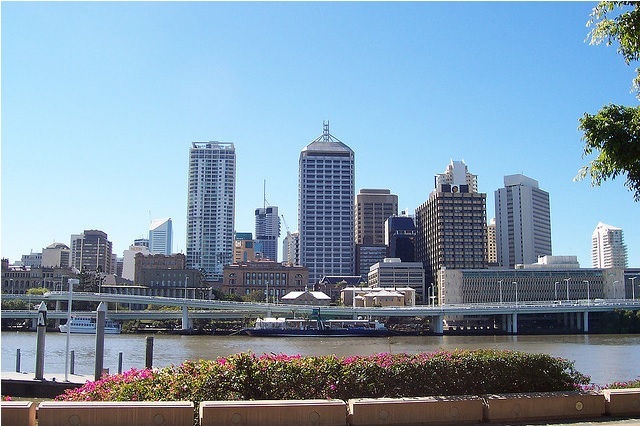 Brisbane is one of the only Australian cities to enjoy a dedicated Entertainment Precinct. Fortitude Valley is the heart of Brisbane’s diverse music and clubs scene, pumping out vibrant musical exports like Powderfinger, The Veronicas, Savage Garden, The Bee Gees and many more. A walk of fame even lines the Valley Mall paying tribute to these greats. Brisbane enjoys an exciting gig roster in regular venues such as The Zoo, The Tivoli, The Arena and Rics Bar. If you’re looking for a pre-gig drink then Black Bear Lodge, Rics and The Bowery are the places to go. Brisbane’s retro leanings have produced numerous fantastic Antique Centres throughout the suburbs. The Wooloongabba Antique Centre is the most vibrant, with a 1950s style booth café out front and a warehouse chock full of vintage classics. The Paddington Antique Centre has a Devonshire tea style café and a veritable feast of antique jewelry, furniture and clothing beneath its old cinema’s domed roof. The New Farm Antique Centre is also not to be overlooked, offering some of the best prices for high-quality vintage finds from decades past. Freelance writer Megan Reeder Hope+ is a former music publicist and journalist. Megan currently resides in Brisbane and frequents the art galleries, bars, and antique centres regularly.